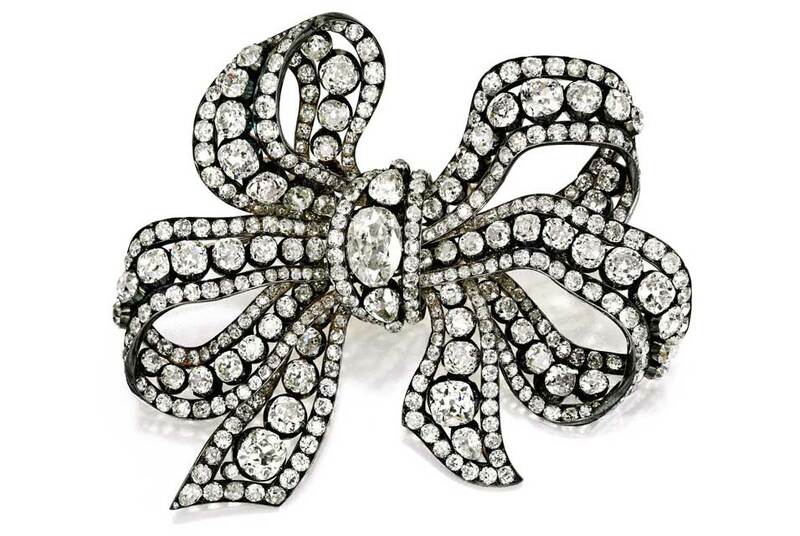 Diamond Ribbon Bow Brooch, circa 1840. Estimate $200/300,000. Formerly in the Collection of HRH Princess Marina, Duchess of Kent.